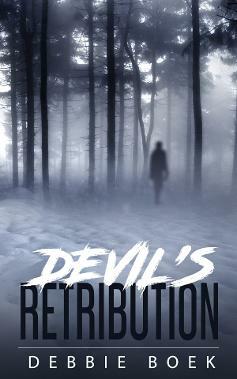 Devil's Retribution is now available on amazon.com as a paperback and ebook. Devil's Bait and Devil's Retribution are now available through amazon.com as a paperback and an ebook. They are also available at KOBO and Barnes and Noble. 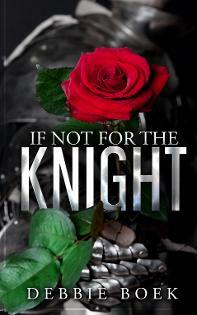 If Not For the Knight and Sommers' Folly are also available on amazon.com as ebooks only. If Not For the Knight was originally published in 2005 and Sommers' Folly was originally published in 2006. Both of these books are historical romance novels. Blizzards and bootleggers and Bigfoot, oh my. The Devereaux brothers find themselves stranded at a rustic ski lodge just as an epic snowstorm hits. Which works out perfectly for Scott, who is trying to reconnect with an old flame. But, there is little time for romance when they realize that their chances of even surviving the storm are dwindling rapidly. A mysterious bootlegger that is operating out of the lodge wants the brothers out of his way, permanently. And while trying to learn his identity, their true nemesis arrives. Bigfoot, a beast that is stronger, smarter and more dangerous than any they’ve dealt with before. And this time its personal and the creature will not stop hunting them until it gets its retribution. Nothing could have prepared Emma Draper for the events that started to occur almost as soon as she and her family moved into their new home. Her sanity is challenged when she begins to experience a series of supernatural occurrences. Then, her love and loyalty are tested, as her relationship with her husband continues to disintegrate and she is left to handle the dangerous situation on her own. But, the real trouble begins when two brothers arrive to help her get rid of the dangerous entities that have taken over her home. Emma must find the courage and resolve within herself to join them as they do battle with the ghosts and demons. But, if they succeed in making the house safe for her children once again, will she be able to disregard the feelings she now has for one of the brothers and put her children first, giving up her own happiness in return? In 1066, the Normans brutally defeat the Saxons and William the Conqueror becomes King of England. Against his wishes, Calder Wyndham, one of the King's most valued knights, becomes Overlord of a small village in the North. He gives his heart to a lovely young Saxon woman, Regan. But their relationship causes an even deeper rift between the Normans and the Saxons. Will the strength of their love be able to over come the hatred and prejudice? 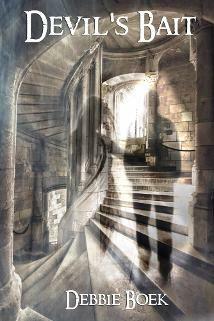 Or will the deceit, disrespect and betrayals from both sides tear the lovers apart? and I can't wait to get started on the sequel. In blissful ignorance, Brian Sommers agrees to lead the wagon train, taking beautiful, spirited Alaina Montgomery to her fiance, Diego Montoya, who is anxiously awaiting her in Texas. Sommers could never have anticipated the feelings that she would arouse in him, nor the dangerous turn that events would take. Although Alaina is wracked with guilt as her desire for the enigmatic Sommers surpasses her waning feelings for Diego, she knows there can be no other for her. But will Sommers be able to give up all he has worked towards and everything he believes in to prevent Alaina from walking out of his life and into Diego’s arms? Or will a wicked twist of fate even allow them a choice in the matter?